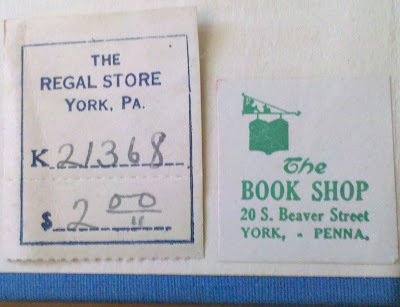 Papergreat: Two bookseller labels from York, Pa. 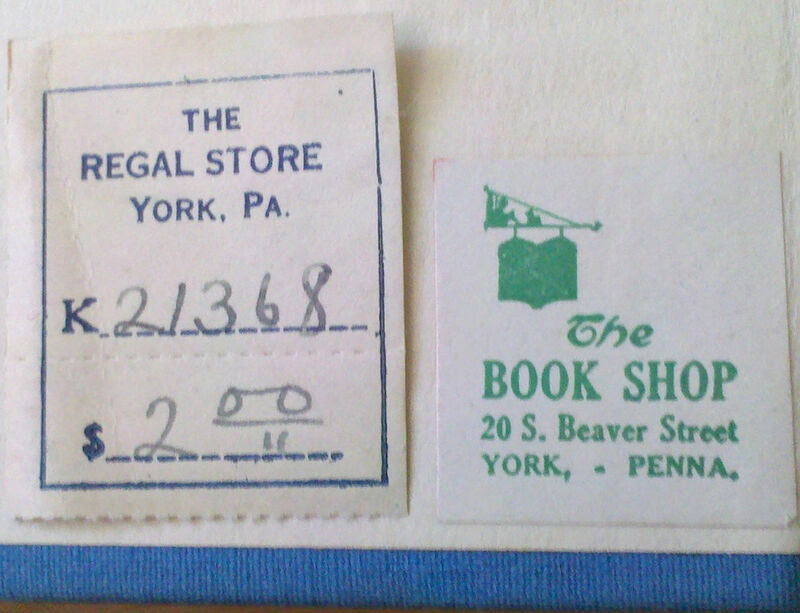 I have been spending much of the day sorting through boxes of books, and so far I have stumbled upon two different bookseller labels1 from former York County businesses. On the left is a label for The Regal Store. It was affixed to a 1925 hardcover edition of "Red Rock" by Thomas Nelson Page. On the right is a label for The Book Shop at 20 South Beaver Street in York. It was affixed to the inside front cover of a 1945 edition of "Arch of Triumph" by Erich Maria Remarque. I'm not familiar with either of these former stores. Can anyone shed any light? 1. For more on bookseller labels, see last month's post: "Brentano's, the American Bookstore in Paris". Great blog and nice labels. For much more on bookseller labels, visit www.booksellerlabels.com.